This New Year 2018 starts with the onset of Jenma Sani for the Sagittarius sign. The second round of Jenma Sani brings better prospects into their life. The youngsters should be very careful in all their dealings. You should not take risks right now and think twice before doing anything. Lord Jupiter is the Ruler of your Moon Sign and Lord Saturn is a friendly planet in the moon signs under Lord Jupiter. Hence, you need not worry that this Sade Sani (Elarai Sani) will bring very bad proceedings into your life. Hence do not over-reach, take risks or start new ventures. Do whatever you are doing with sincerity and devotion. A special feature is the presence of Lord North Star in your 8th House, the moon sign of Cancer. Some will have the good fortune of travelling abroad for work. Problems that prevented you from studying or working abroad or in other states will vanish. Those who were trying to settle abroad will do so now. Your occupation is likely to bring dissatisfaction or heavy work load to youngsters. Businessmen, farmers and self-employed should not trust your employees. Self-employed would need to take up loans for their business. That loan will be useful for expanding your business, investments and your business growth purposes. Those having concerns in other states or countries will have a good time of growth. The work load will increase for government employees. Your work environment will hardly be friendly. Hidden enemies abound. Be cautious with gossip mongers. Your co-workers will be antagonistic. It will be difficult to work with them as a team. Employees will mostly get an inconsiderate boss who will cause discomfort for you. Those in uniform like police, forest guards and such will receive promotions. Other incentives will follow, but will not be satisfactory. Traders will have to travel incessantly for procuring their business supplies. Though your business will go well, do not trust anyone and lend money this year. You would have to work hard for your business. Some of you might get transferred to places you do not desire or transferred to some post not suited to your deportment. Some change of location, be it house or place of work. You would have to travel a lot due to the presence of Lord Saturn. Long distance journeys to other states will be profitable. As Lord North Star is in your 8th House, you have to be vigilant while indulging in risky businesses like stock market, speculation and lending. Though he initial set up would yield some profit, investing in risky ventures will end up eating everything you have. Lenders should not lend money to unworthy people for the sake of getting higher returns. You will not get any money back. This is the time to worship your family deity. The time is ripe for you to perform the rituals correctly for worshipping your family deity. Students of computer science and maths will be afflicted with poor memory and retention skills. Engineering students should work hard. Those in their middle age should go for health check-up. This is the time when any underlying diseases like hypertension, diabetes will be discovered. So do not ignore any signs and look after your health. Do not indulge in any shady, unlawful activities, as you will get caught. Do not participate in any competitions or bets. If you take up any fights, you might have to travel between the police station and the court in future. Women will have a better year ahead. Your expenditure will increase and will end up eating away your savings. Working women will receive overdue promotions and pay hikes. 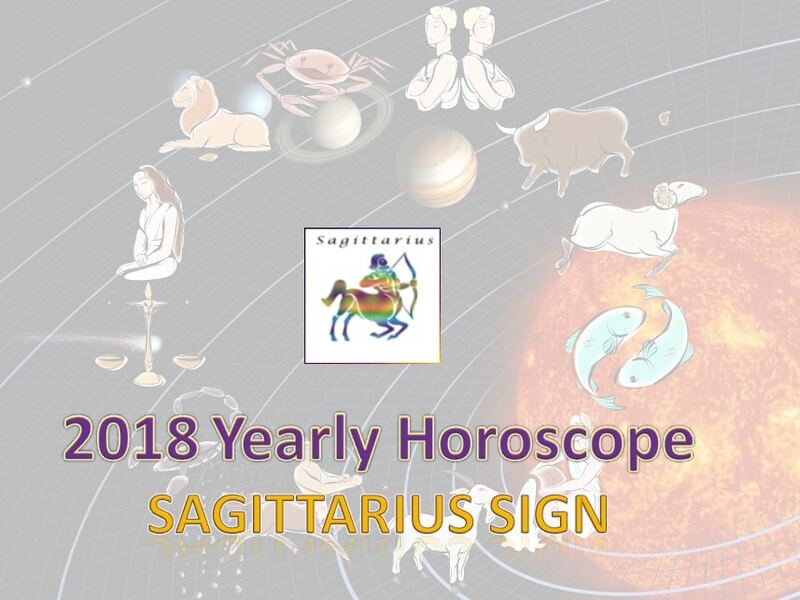 For Sagittarius, the start of the year 2018 will bring in better prospects, but the latter half will teach you about life.